British bankruptcy history was made in 1978 by Mr William Stern. The 43-year-old property dealer’s assets totalled £10,070. His total liabilities were in excess of £100,000,000. Nutella have started running an ad here that states that their product is a healthy part of a balanced breakfast (much like McDonalds McGrease Muffins or Chocolate Frosted Sugar Bombs) and that it is a low GI food that will stop children from falling asleep over their mid-morning maths lessons. They may well excel at sports in the afternoons too. It all seems so preposterous that one wonders how these advertisers keep getting away with it! Except that Nutella hasn’t really. A substantially similar ad was banned in the UK in 1998 for misrepresenting the actual health benefits of Nutella, which are in truth not too great. But more remarkably, the one charge against them that seemed certain to stick — that Nutella falsely claimed to be a slow-energy-release product — was dismissed. 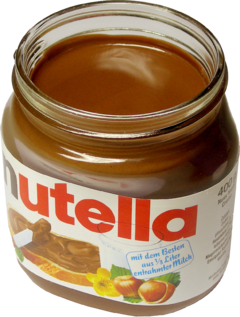 Nutella is in fact a low GI food, and although it is high in sugar and fat, it has less sugar than jam and honey, and less fat than butter and margarine. On the other hand, jam and butter will make you very fat too. Before we had kids — when we had the time and energy to spend on faddish diets — my wife and I had a go at eating healthy, low GI food options. The idea is that foods with a GI of <55 release energy slowly so that you don’t have spikes and troughs throughout the day (which means less hunger pangs and binge eating, and thus a thinner you). Foods over 70 are considered high GI. Although it seemed to genuinely do us good, I just now discovered how useless glycemic index is as a measure of healthiness. So I’m not sure we should be getting too excited about Nutella’s low GI claims. Just send the kids off with a Snickers bar wrapped in sponge cake and they’ll be fine.